I love big man's drawings so have asked him this afternoon to take part in the draw with me linky. 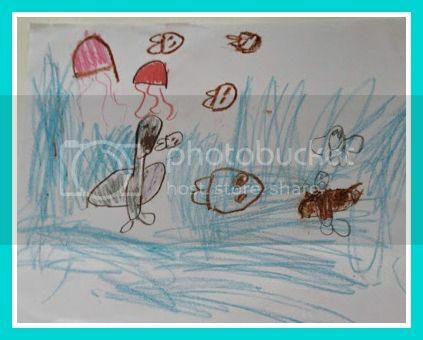 Here is his under the sea picture. I easily spotted the jellyfish. The things that look like divers are sharks. The one on the left is about to eat a fish because "Sharks eat fish you know Mummy." Personally I like the smiley fish in the background.